Back in August, I visited the Devil’s Arrows near Boroughbridge in Yorkshire, and was very intrigued by the strange vertical grooves on their surface. They put me in mind of some other standing stones I’ve seen recently – the Tuilyies stones near Dunfermline in Fife. 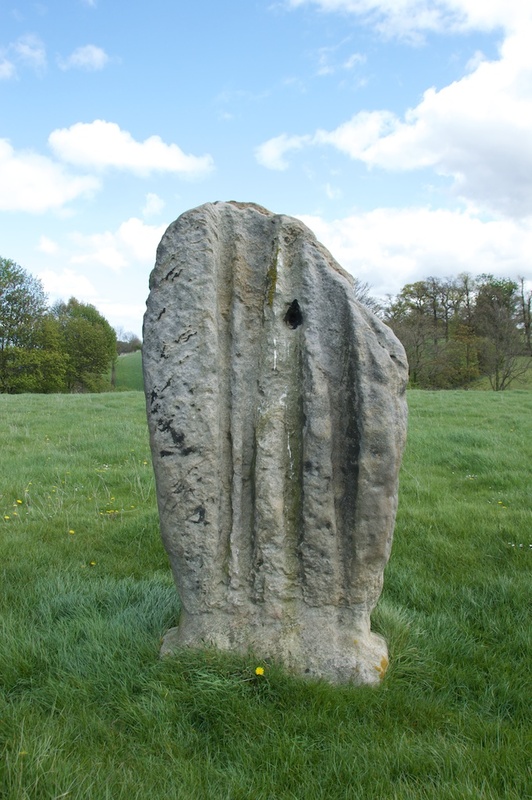 I guess if you were comparing standing stones to savoury snacks – which I’m sure you weren’t – the Devil’s Arrows could be cheese straws while the Tuilyies are more like deep-ridged crisps. I’m not saying that this was their original purpose, although they could well have been the venue for a great party, at one time or another. 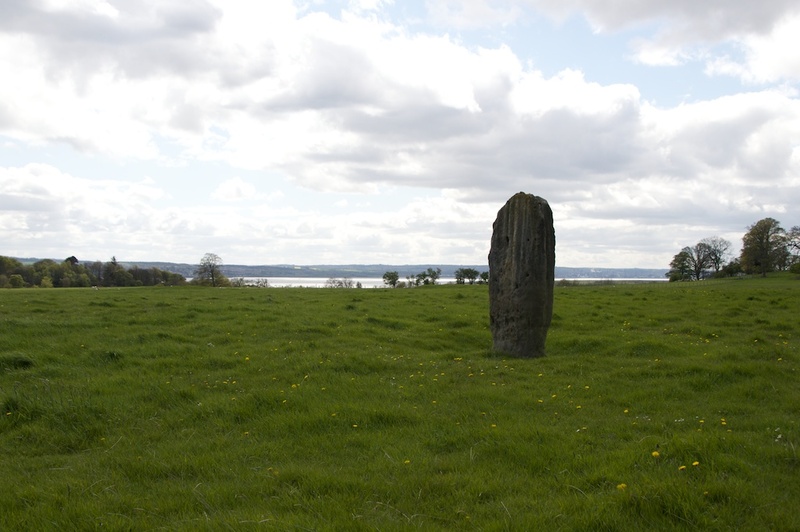 We visited the Tuilyies stones on a cold day in early spring, with the wind whipping up from the Firth of Forth and making it difficult to stand around, even with a thick coat on. There is little to examine on the smaller stones beyond the natural markings of their geology. They appear to be lying at random, like a handful of dice tossed by a careless giant, whereas the single, taller stone seems deeply rooted: a sentinel, perhaps. But standing guard over what? I can find no record of any finds here, or any excavation at all, for that matter. The only clues are the stones themselves, and the largest one seems to hold all the cards. It stands about eight feet tall, and is curiously shaped, tapering gently from a curved top before widening out a couple of inches on each side just before ground level. On the western face there are four deep furrows, while on the east there are at least five, if not more, but these are slightly shallower – although whether this is through intention or natural erosion, it’s impossible to say. If you look at the stone side-on, there is another long narrow groove right up the centre; minerals and lichen are accentuating this in shades of black and brown, making it look like a deep scar. In addition, the east face of the stone is pitted with a number of pock-marks or cup-marks, and I’m inclined to think that there are a few more cup-marks running up the narrow south-facing side, too. A hole has been bored into the top half of the surface on both sides of the stone, about seven inches in depth, but curiously the holes do not meet in the middle. I noticed that one of these cavities contained little ‘gifts’, including a modern penny. People will always bring offerings to stones. It’s useless to deny it – it’s in our genes. 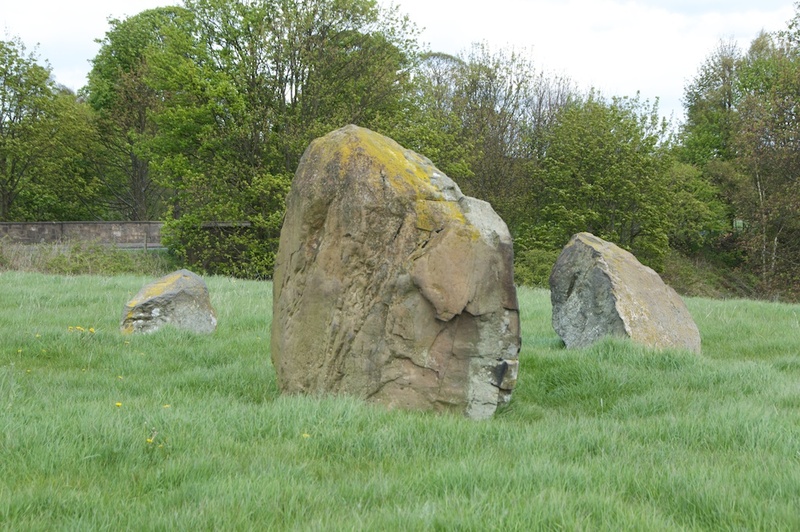 Like many megalithic sites, the Tuilyies stones are traditionally connected with a battle, possibly at the time of the Viking raids; but any dates or names have been lost in the mists of folk memory. However, an internet search turned up another interesting link, of a woman named Lilias Adie who was condemned as a witch in 1704. Having died in prison – perhaps mercifully – she was buried in Torry Bay, between the low and high water marks. A slab that was thought to have covered her grave was discovered in the tidal mud by archaeologists in 2014. I’ve often noticed the appearance of trees surrounding an ancient site, but never have I come across anything quite like the spectacular presence at Tuilyies. A couple of hundred yards to the west, at one end of a short row of hawthorns which once marked an old field boundary, stands a dead tree. 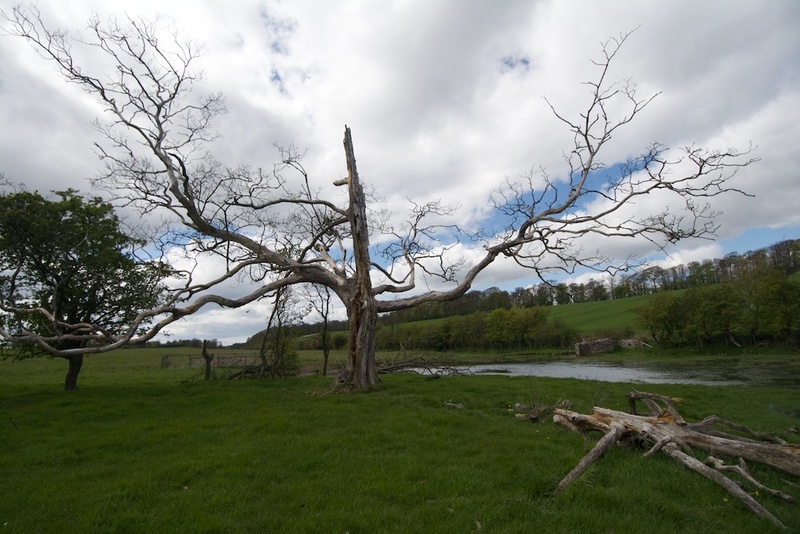 From its branches, I would say it may have been an oak, and it must once have been a magnificent specimen; but now its central trunk is broken and jagged while its lower limbs extend wildly like flailing arms frozen in the last throes of death. A lightning strike seems to be the most logical cause, but I’m coming to think that nature reflects the energy of a landscape in more ways than we realise. And this skeleton tree had an presence that made me steer well clear of it. 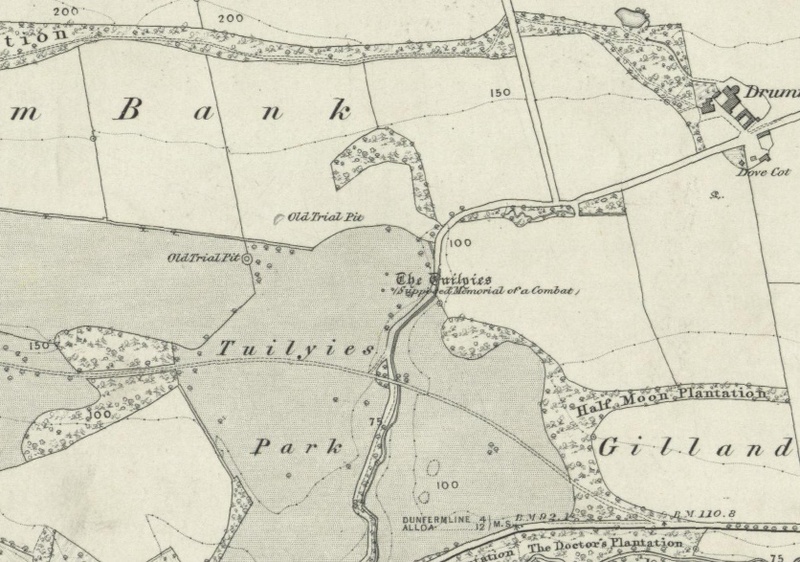 A look at the 6” map of this area from 1854 reveals that there are a couple of ‘trial pits‘ in the vicinity, possibly dug by prospectors looking for coal in the 18th century; just beyond the dead tree is a fenced-off pile of stones, which may be the spoil from a mine working or even the entrance to it, and a pool has formed in a shallow depression. To the south, Torry Bay opens out into the Firth of Forth, with the refineries of Grangemouth visible across the water. I was interested to read that the mudflats here are incredibly rich in snails and ragworms, attracting thousands upon thousands of shore birds in the winter, including curlew, redshank, dunlin, shelduck and great crested grebe; there’s also an abundance of eelgrass, one of the favourite foods of wigeon. It’s impossible to know what to make of the Tuilyies stones, because you get the impression that so much has been lost; the stones could have been moved or damaged by impatient farmers, or attacked by a particularly energetic priest whose mission was to stamp out all traces of pagan worship in the parish during the 17th century. As for the grooves, the accepted belief is that they were created by weathering, just like the marks on the Devil’s Arrows. Once again, I am not convinced. I would be interested to hear your opinion! 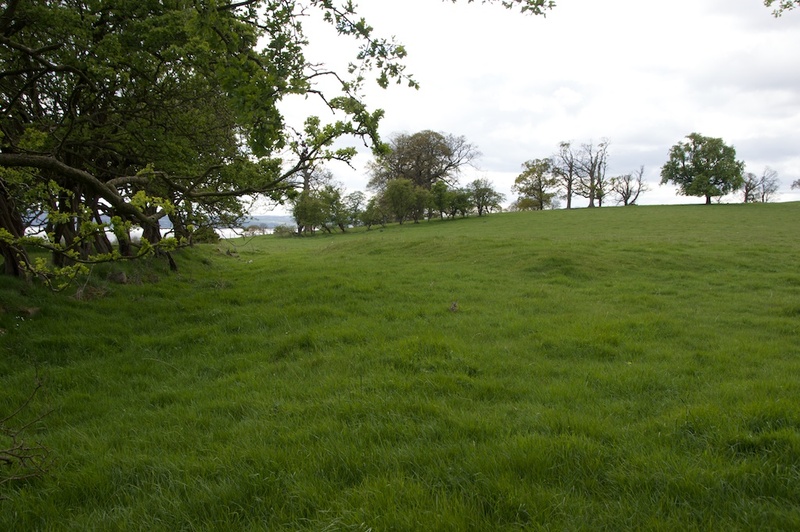 They are in a field on the south side of the A985 from Rosyth to Kincardine, just a mile or so west of Cairneyhill. You’re absolutely right, they do! I’d never even heard of the Duddo stones. Thank you for the link – they look extraordinary. Is there any opinion about how their grooves came about? Those do not look like natural weathering to me. I can think of no stones here in the American Midwest that I’ve ever seen that have weathered that way. (My opinion is of course worth very little because I can’t examine your Scottish stones up close.) Thanks for posting! What a great spot – I love that tree! That’s a lovely idea, Helen – thank you! I like that. I wonder if there may have been a corresponding site on the other side. Strange and rather creepy. Maybe the grooves are the result of erosion of bands of a different rock type? That’s a thought, Viv – you often see that kind of erosion on the sea shore. I don’t remember any banding on the stone but there could be invisible lines of weakness in it. Curious indeed, and remarkably similar to the Devil’s Arrows. The side-on picture of the big stone reminded me of a humpback whale popping up out of the water. I’ve never noticed these stones, but perhaps I haven’t been on the right road past Dunfermline. That dead tree is an impressive beast and reminds me of the Whomping Willow in Harry Potter. Altogether a most intriguing spot. I know, Lorna, this is a very enigmatic place. Love the comparison with a humpback whale! And yes, the tree looks as if it could easily march across and grab you. The stones are easy to miss – it’s a busy and fast road but there is a lay-by where you can pull off. I seem to remember you have to climb over a wire fence. Haha, I like that, David! 🙂 Thank you. Hi Jo. For what it’s worth, I don’t go with the weathering theory either. It looks exactly the same as the patterns on the Boroughbridge stones. If that was the case, we’d have grooved stones everywhere. Perhaps it’s the effect of the salt and vinegar when they were processed in the savoury snack factory. That tree looks totally evil. I wouldn’t like to spend the night under that in a tent. Yes! 😀 That made me laugh! Alen, you are totally right! And of course the vinegar would have been sprayed on in stripes. No, there would be no benefit at all from camping under that tree. It makes me shudder to think about it! Yes, I know, Lynne – that’s part of the charm, I think! Great post Jo, and really interesting. We’ve driven past many times on the way to Glasgow, and I’ve often thought about stopping, but each time we always seem to be in a rush. 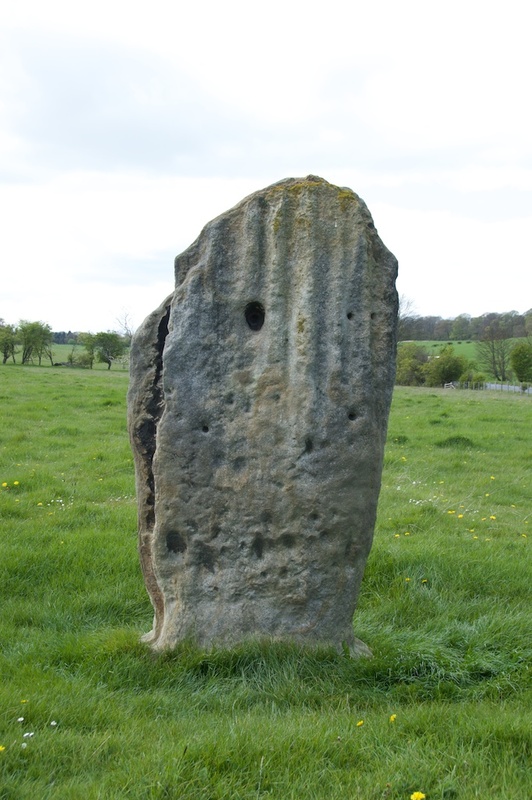 It’s been excellent to see the stones up close and personal from your photos. I get the impression that the stone ‘circle’ isn’t in it’s original position, it definitely gives the impression that the stones have been moved by various farmers. I would guess that a fair number of stones would have been removed from the original site. Having seen a reasonable number of circles in Cornwall, the Tuilyies just seems very incomplete. That main stone, with it’s grooves, looks to me to be made of iron banded sandstone, but the groves are almost definitely man made. You may get naturally occurring groves on one side, but not on both sides!! Looking at a geological map, the piece of whinstone would have been found locally, there are outcrops of Carboniferous micro-gabbro sills within a couple of hundred metres of the location. 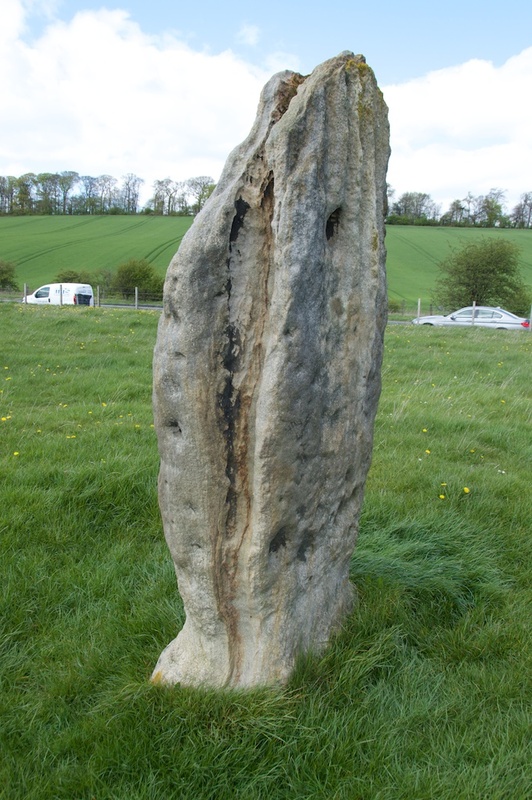 I too cant imagine such grooves being ‘natural’ – if there were other natural stones like this then surely they’d be a well-documented effect in other than standing stones? The problem though that puzzles me is that these stones are often quite high – Jo do you think someone could reach high enough to rub grooves at the top of these stones? Thank you very much, Andy! It is certainly worth stopping here if you ever get time. 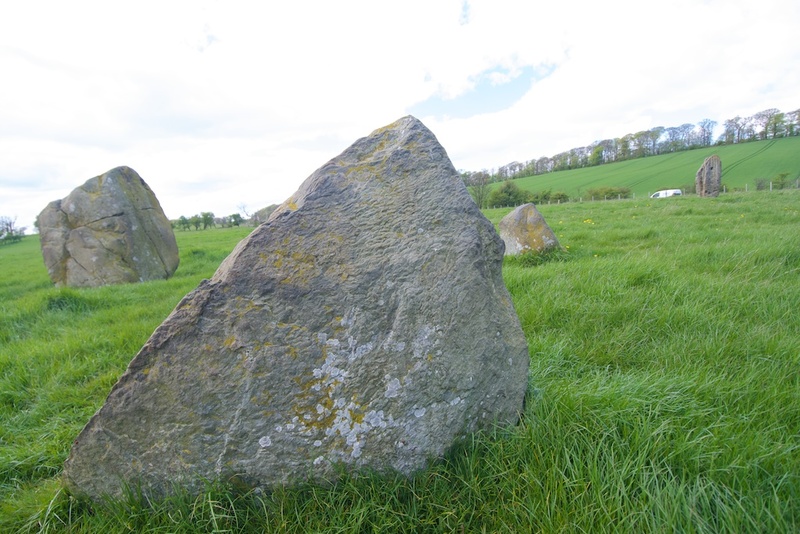 Yes, what a fascinating place – and you could well be right about the small group of stones being moved or turned – or even some removed altogether – in which case their original intention and alignment will have been lost. Thank you very much for shedding some light on the geology of the big stone, and its possible origin. That is very interesting indeed. Instinctively, I cannot convince myself that the grooves are a result of weathering, and I can’t help wondering if they are linked with the cup-marks and were originally intended to be interpreted alongside them. 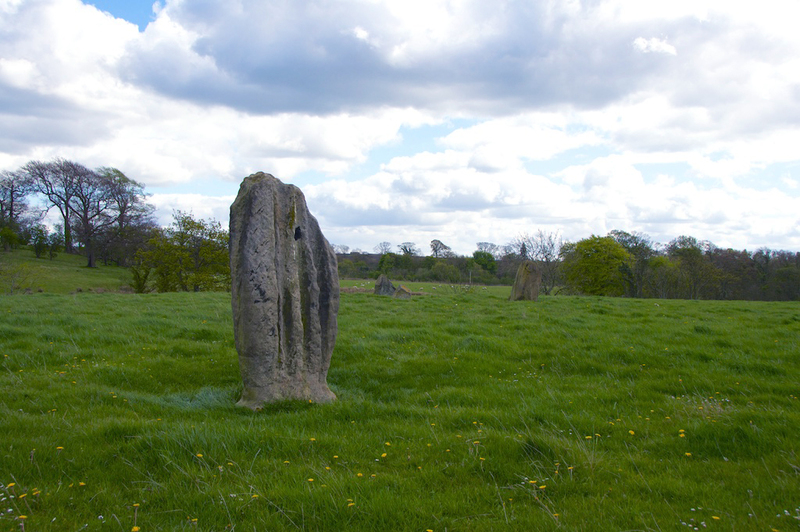 An earlier commenter (Border Archaeology) pointed me towards the Duddo stones in Northumberland which are extraordinary: http://www.stone-circles.org.uk/stone/duddo.htm Again, the deep grooves are described as ‘water-cut channels’. I would love to see them for myself. 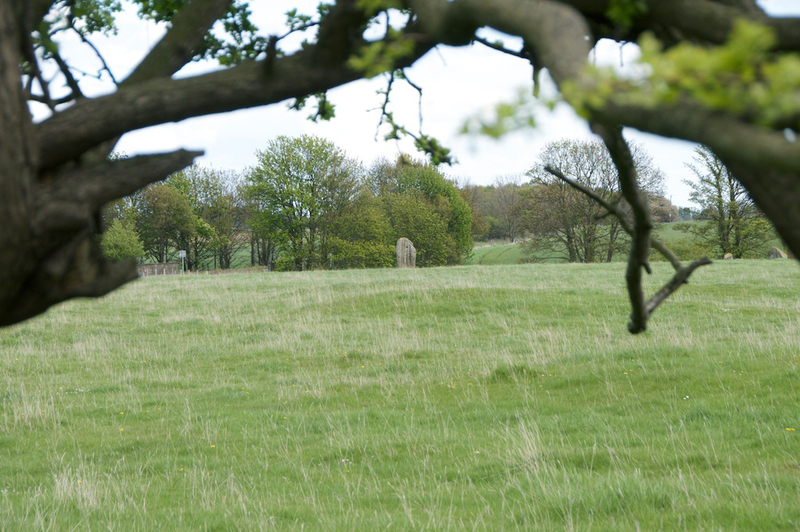 I’ve just had a look at the link for the Duddo standing stones, and they do appear to be weather related grooves. But the grooves on The Tuilyies main stone are far too straight and even to be the action of water erosion. I think they have to be man-made, like you said Jo, maybe linked to the cup-like shapes. I was wondering if maybe it was a Pictish stone, but the Pict doing the sculpting was like me, not a very good artist! !